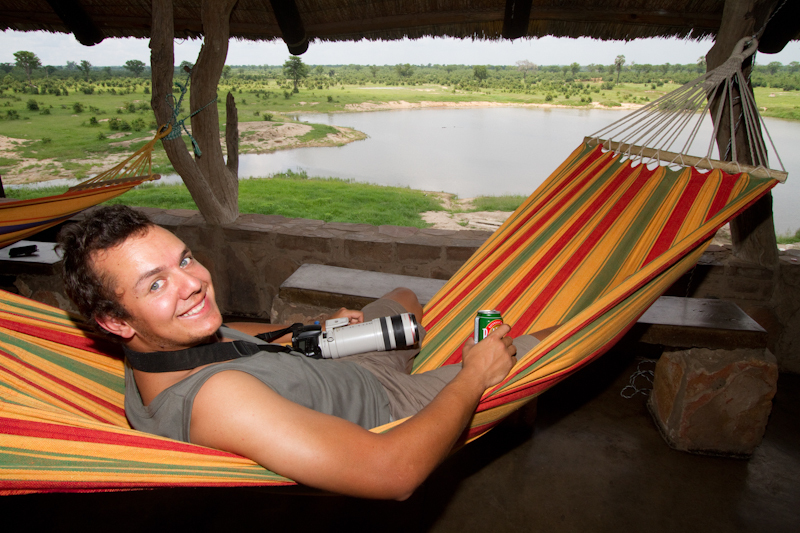 Don’t visit Masuma Dam without a hammock. Nyamandhlovu Platform not only attracts great numbers of animals, but also many different species. 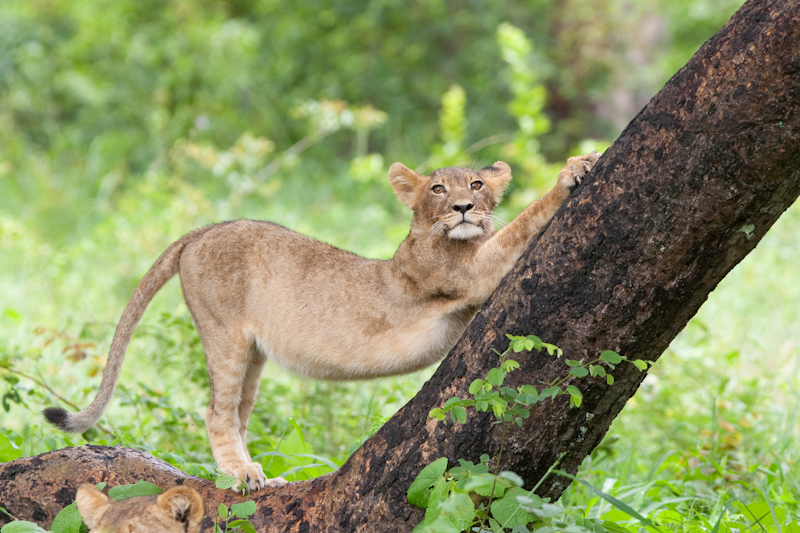 A lion cub stretches against a tree near Main Camp in the east of Hwange. Hwange National Park, Zimbabwe – Writing about a Zimbabwean destination so soon after their circus of an election might seem pointless, ridiculous even, especially with heavy storms predicted for their political climate in the foreseeable future, but no matter who runs the country (or how badly), national parks and the wildlife therein rely on a steady flow of visitors to stay alive. Nyamandhlovu platform near Main Camp has ablution facilities. 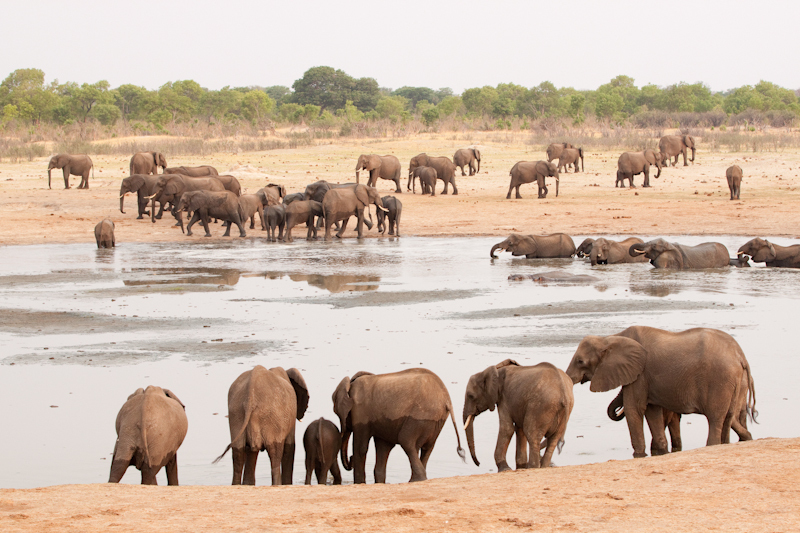 During the late dry season you can expect to see hundreds of elephants every day. 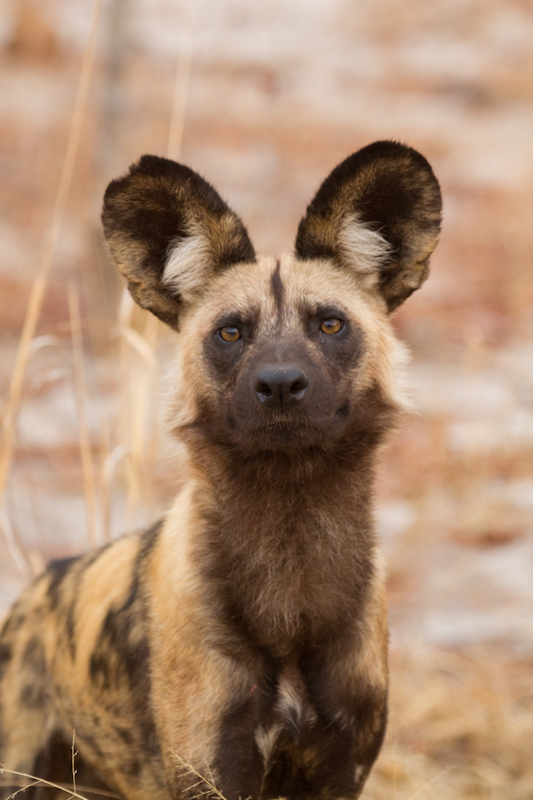 Wild dogs are most often seen in the vicinity of Main Camp. 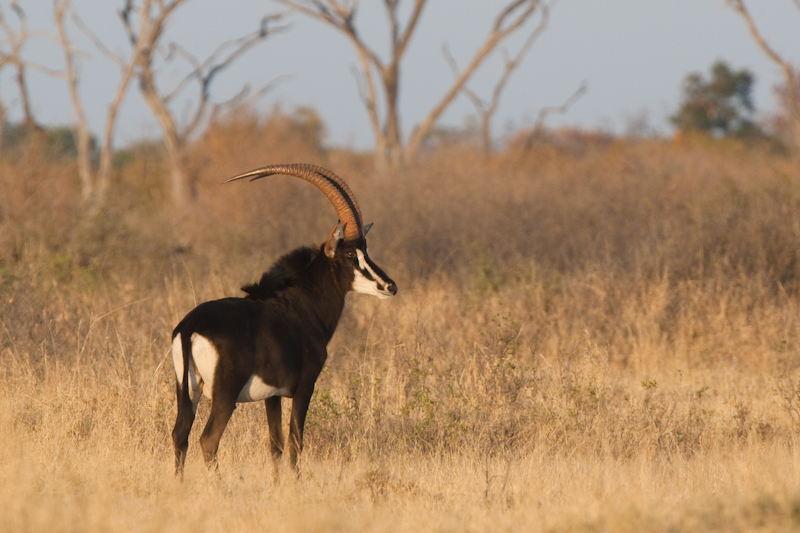 Majestic sable antelope are often seen between Pandamatenga and Robins Camp. 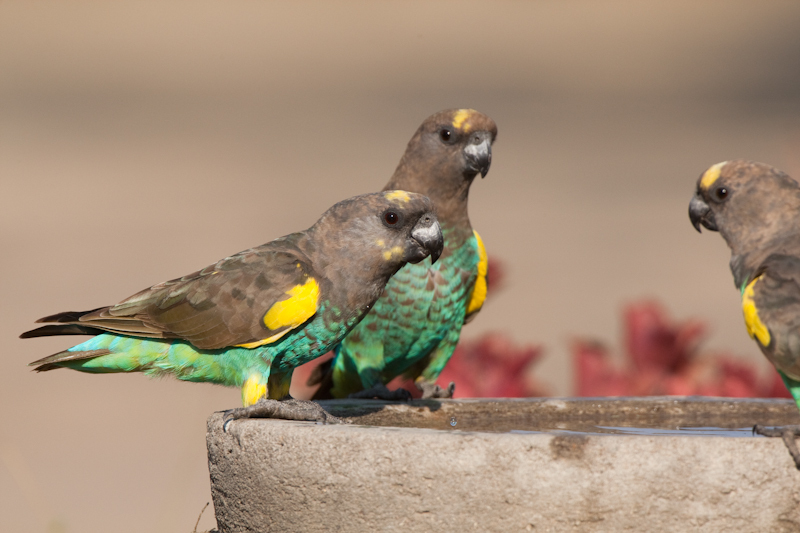 A small flock of Meyer’s parrots drink at a birdbath at Ngweshla picnic site. 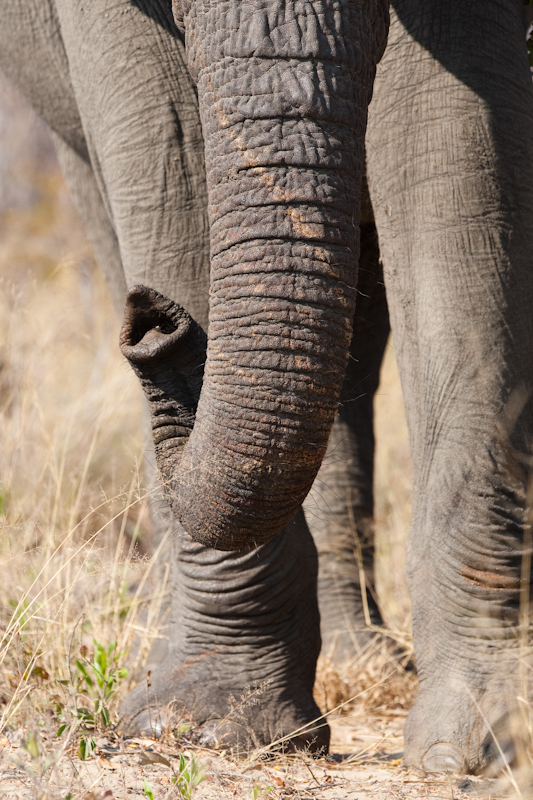 You’ll definitely leave Hwange with many great elephant photos. The two-track road between Main Camp and Ngweshla is very scenic. Robins Camp might be old and a bit run down, but the staff try their best to keep it neat. Don’t expect a huge variety of groceries form Main Camp’s small shop. Chances are good that you’ll have the campsite to yourself at Robins, Sinamatella or even Main Camp. Sixty-year-old Hwange National Park has been on life support for the past tumultuous decade, but in recent years, before the August-2013 elections started the political winds roaring again, things were just starting to pick up as visitors realised that what Hwange had to offer was worth the uncertainty associated with crossing the border. Hwange will never be another Kruger. 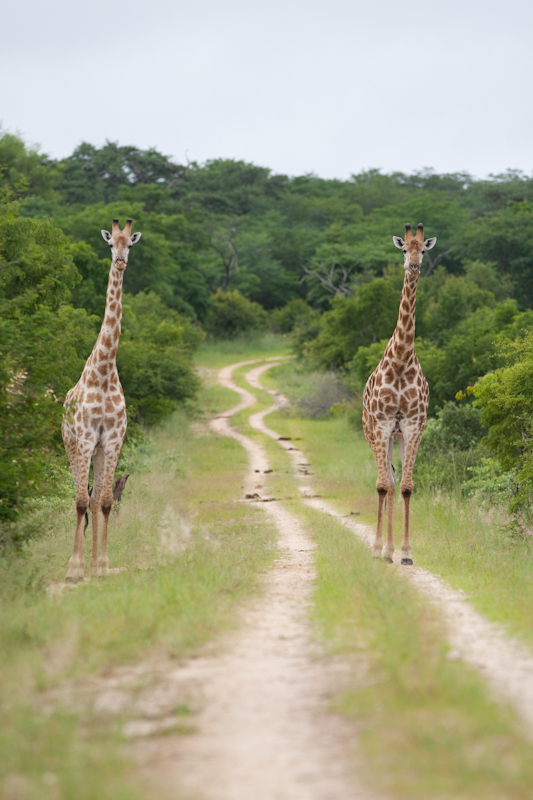 It’s arid, unfenced and quiet, and despite its deteriorated road system and animals that are not all as relaxed as the typical Kruger-lion, it’s still a worthy African wilderness. 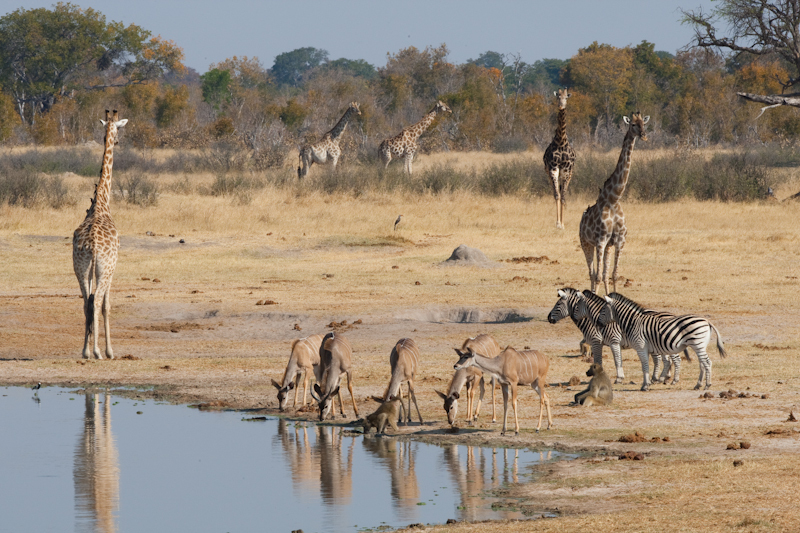 Waterholes are Hwange’s life force, often teeming with wildlife in the dry season, and the park’s waterside hides and platforms are popular places to while away long afternoons between game drives. Sable, roan, wil dogs, and large prides of elephant-hunting lions roam throughout the park, and to this day Hwange is still regarded as one of the best places in Africa to see elephants in the wild. Cosmetically speaking, Hwange has lost a lot of its appeal over the years. 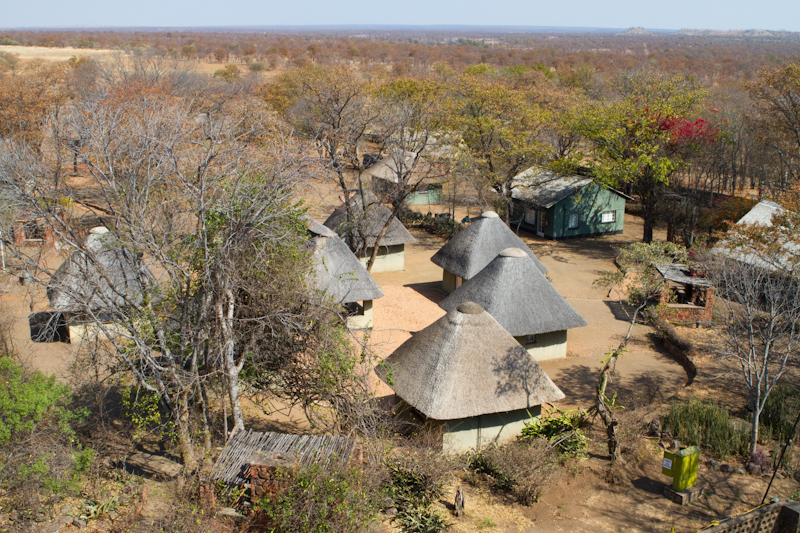 Once trendy and bustling camps now have an old and abandoned air about them, but if you’re prepared to look past the cracked and peeling paint you can’t help but notice the little touches that are all Hwange’s loyal staff can do to keep things running. Your might only get a single working toilet and an inch of hot water each day, but the ablutions will be clean enough to eat your dinner in, and though you might be the camping ground’s only occupants, every day your stand will be raked, your bins will be emptied, your braai-area will be cleaned, and you’ll be stocked up with more wood than you can use. The shop (if there is one) won’t always have milk for your coffee and the office won’t always have power, but wherever you go you’ll find an amicable smile and a professional explanation. Hwange’s staff haven’t got much to work with, but what they do with it is humbling in its ingenuity – pretty flowers in baked bean tins to brighten up bathrooms, sprinkler systems crafted from discarded water bottles to keep gardens green, and upturned beer cans lining pathways to keep things neat and orderly. Visitors who appreciate the effort, who can bear with the rough exterior, see beyond the neglect and notice the heart that keeps Hwange running, these are the people most likely to return time and time again. It’s hard to say what Zimbabwe’s future may bring, whether the predicted political hurricane will leave destruction its wake or blow over without much fuss. 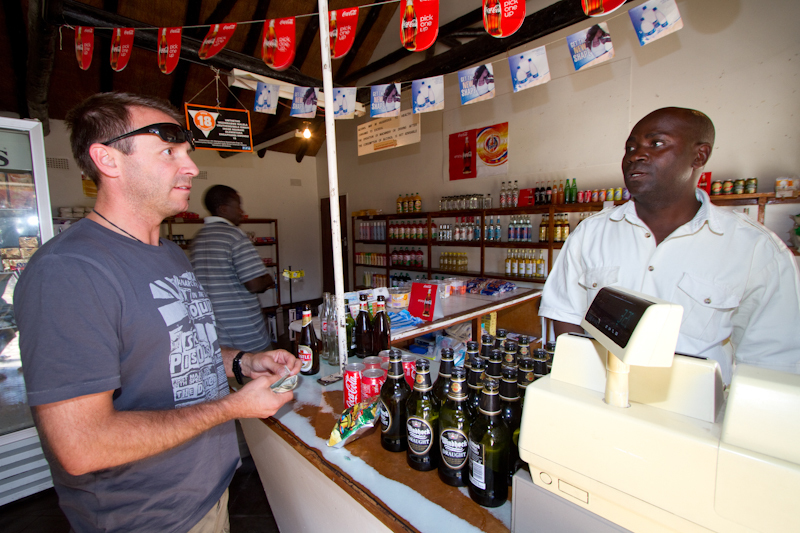 Either way, Hwange, with its wonderful waterholes and welcoming smiles, is still worth crossing the border for. Since a large portion of your photos will most likely be taken from hides and platforms, it’s crucial that you bring proper support for your telephoto lens(es). At popular platforms like Nyamandhlovu in the east there are wooden ledges just below eye-level (when you’re sitting) that are best suited for beanbags. Further west, at a place like Masuma Dam, however, the ledge is replaced by a much lower rock wall where tripods come in much more handy. Remember that the camps often experience power issues, so it’s important to have the necessary facilities/equipment to charge camera batteries in your car. It’s best to buy a small inverter that plugs into your cigarette lighter port, allowing you to charge your spare battery when you’re driving. Where: Hwange lies in the north-west corner of Zimbabwe on the main road between Bulawayo and Victoria Falls. The easiest access point is through Pandamatenga Border Post in Botswana, just over a hundred kilometres south of Kasane. The border post is tiny, extremely quick to get through and takes you almost directly into the western corner of the park. Remember: There is a chance that the border officials might ask you for proof of police clearance of your vehicle. When: Hwange is at its most beautiful after the summer rains (March and April), but during this lush period the waterholes become much less productive than during the dry winter months (June to October). 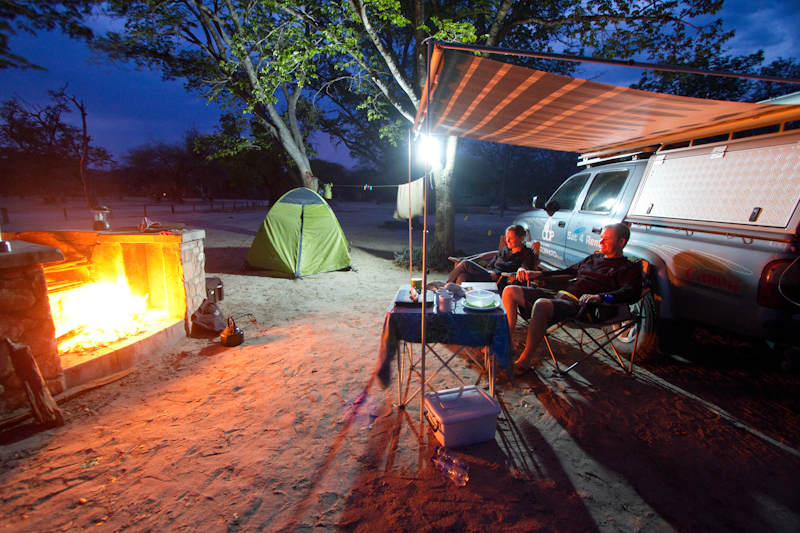 If you plan to stay at some of the more popular campsites like Masuma Dam or Ngweshla during the dry season, you will have to book a long way in advance. Camping fees: $15US/person in Main Camp, Sinamatella and Robins camps, $25US/person at Jambili and Mandavu picnic sites. Masuma Dam, Shumba, Deteema, Ngweshla and Kennedy 1 picnic sites can only be booked out by groups and costs $150US per night for the entire site (up to six people), $25US per additional person per night (maximum twelve people). Main Camp is the only camp with a small shop and restaurant. The other two main camps, Robins and Sinamatella are rather run down, the latter being the worst. Having said that, you can camp in any of the three campsites for a decent rate, just don’t expect hot water, electricity or 5-star ablutions. The picnic sites are by far the most popular campsites in the park. By day they are typical picnic sites open to day-visitors, but by night they become exclusive campsites, usually with a hide and view over a dam. 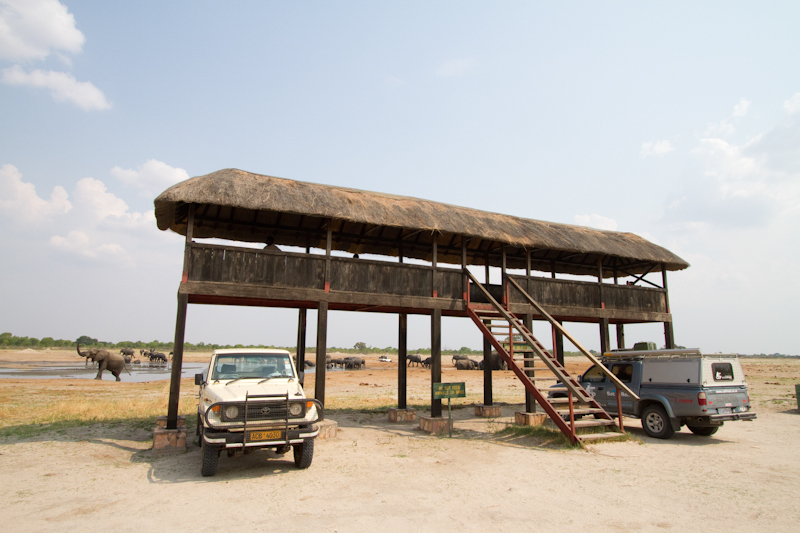 The best (and most popular) hides are Masuma Dam, Ngweshla and Deteema. If everything is running well, you’ll get cold water showers and flush toilets at these (perhaps even hot water at Masuma! ).